Szabina’s main research interest is the archaeology of 9th-11th-century rural settlements and central places in Central Europe, with special attention to Northern Transdanubia (Hungary) and its economical and social contacts with the broader, Central European region. Connected with this topic she participated on several projects, such as the project of the Roman-German Central Museum (Mainz), ‘Horsemen versus Castle Builders: The Hungarians and the “German State” (9th to 11th centuries)’. She was the co-investigator of the project funded by the Hungarian Science Fund (OTKA) no. NK 104533, called ‘Centuries of transformation – settlement structures and settlement strategies in the central parts of the Carpathian Basin in the 8th–11th century’. She was co-investigator of the excavation at the significant multi-period site of Visegrád-Sibrik domb, N-Hungary from 2013. Besides the traditional archaeological pottery analysis she works with archaeometry, cooperating with natural scientists with the main emphasis on ceramic petrography. In March 2019 she started her work at the project of Glass Networks: Tracing Early Medieval Long-Distance Trade, c. AD 800 – 1000. Leverhulme Trust Research Grant (RPG-2018-224), 2019 – 2020. Szabina Merva obtained her MA degree in early medieval and medieval archaeology, with specialization in archaeometry at the Eötvös Loránd University (Budapest, Hungary) in 2009. She graduated at the Postgraduate School for Geoinformatics at the Department of Geodesy and Surveying, Budapest University of Technology and Economics as a technical GIS consultant. She defended her PhD at the Doctoral School of History, Eötvös Loránd University. PhD Title: „…circa Danubium…” from the Late Avar Age until the Early Árpád Age. 8th-11th-Century Settlements in the Region of the Central Part of the Hungarian Little Plain and the Danube Bend. Supervisor: Prof. Dr. Miklós Takács. Examiners: Dr. Tivadar Vida and Dr Hajnalka Herold. During her university years she was intern at the Geoinformatics Laboratory, Department of Technology, as well as at the Department of Archaeology of the Hungarian National Museum (Budapest). From January 2013 till February 2019 she was Junior Research Fellow at the Institute of Archaeology, Research Centre for the Humanities, Hungarian Academy of Sciences, Budapest. She had reseach scholarships at the Roman-Germanic Central Museum, Mainz (Germany), at the Institute of Archaeology, Slovakian Academy of Sciences, Nitra (Slovakia), as well as at the Department of Archaeology and Museology, Masaryk University, Brno (Czech Republic). 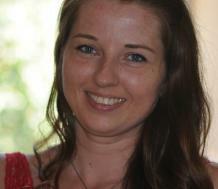 Szabina joined the University of Exeter as Postdoctoral Research Associate in Archaeology in March 2019.